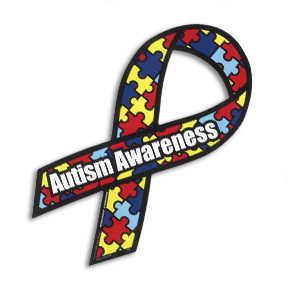 Ten years ago I was diagnosed with Autism Spectrum Disorder, which describes a range of conditions classified as neurodevelopmental disorders. These disorders are characterized by social deficits and communication difficulties, stereotyped or repetitive behaviours and interests, sensory issues, and in some cases, cognitive delays. Throughout my life I’ve had problems in social interaction and adapting to systems, at school and on the labour market. My dream to graduate in history at university was shattered as I couldn’t fully adapt to the academic system. This led to a severe depression about ten years ago. Looking back on things, most of my life has been dominated by fear. Whereas most youngsters gradually develop a sense of self-confidence and self-esteem, my progress was hindered by traumas and debilitating fears. I rediscovered Stoicism by coincidence at a very difficult moment of my life. After being discharged from a psychiatric hospital I googled ‘cognitive therapy’. On a practitioners website Epictetus was mentioned alongside Buddha as the originator of cognitive therapy. This immediately struck a chord with me, as I had read briefly about Stoicism in Jostein Gaarders ‘Sophie’s world’ during puberty and heard in a philosophy class the professor tell admiringly about someone who reacted stoically in a car accident. From then on I became increasingly interested in this philosophy. In the early days my knowledge of Stoicism was very limited: I was basically repressing emotions and got tangled up in my thinking a lot of the time. Later on I read the several books and blog posts that provided me with serious knowledge to put the philosophy into practice. There are various interpretations of Stoicism, but the way I see it’s an antropotechnic system to deal with the human condition and thrive in challenging circumstances. Four virtues are put forward to strive toward goodness: courage, justice, self-control and wisdom. I find this a powerful antidote to the postmodern culture of ‘success’, limitless pleasure seeking and increasing nihilism. It is also refreshing to see other people in terms of brotherhood rather than predominantly as potential competitors or enemies. I frequently use Stoic techniques: distinguishing between what is in my power and what is not, mindfulness, negative visualisation, the reserve clause, evening meditation and oikeiosis. Oikeiois is still a big challenge: you have to useful to yourself before all else in order to be useful to others in a sustainable way. The author of this piece wishes to remain anonymous. I have recently been selected for a professional training program to develop dynamic websites. This is the result of practice. I found the article a most helpful affirmation of what Stoicism can offer.